The owners of property at 2307 Post Road, just west of the downtown business district, want to replace the aging building that sits there now with a brick retail and commercial structure. A Town Plan and Zoning Commission public hearing on the application from One Sasco Hill LLC will be held at 8:15 p.m. Tuesday at McKinley School. The property, owned by B.V. and Torrey Brooks, sits on the corner of the Post Road and Sasco Hill Road. Right now, there is a two-story building, constructed in 1902, on the site. The building is vacant, but had been used for retail and office use, with several apartments on the second floor. According to the applicant's lawyer, William Fitzpatrick, his clients considered renovating the existing structure, "but it proved not to be feasible given the age and construction of the building." 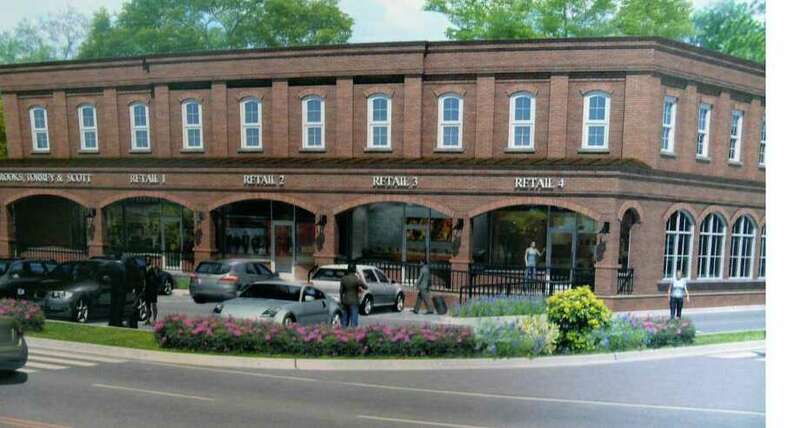 Under the proposal, the two-story building would be replaced with a 29.3-foot high building housing both commercial and retail space. Zoning regulations require 53 parking spaces and that number would be provided, according to the application, both in front and behind the building. The TPZ will also hold a public hearing Tuesday on an application from 2291 Post Road Fairfield LLC for a vacant lot adjacent to the One Sasco Hill LLC property. The owners are seeking approval for a medical office complex there. Zoning approval for the project had been granted earlier, but according Charles Jankovskey, the applicants' lawyer, it was not built because of the poor economy and the permit lapsed. The medical building would be elevated, providing parking on the ground level, and two floors of office space above.